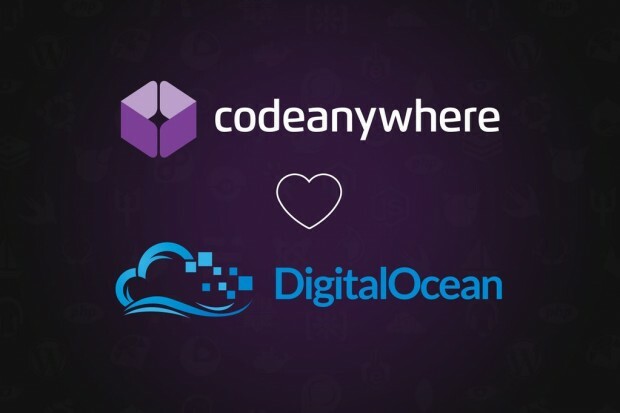 In order to celebrate the official partnership with CodeAnyWhere, DigitalOcean gives a special promotion for all CodeAnyWhere user – a free $25 coupon code. In addition to the $10 promo code, you can get $35 of the total. With this amount, you can experience DigitalOcean VPS for 7 months – the $5/month package. 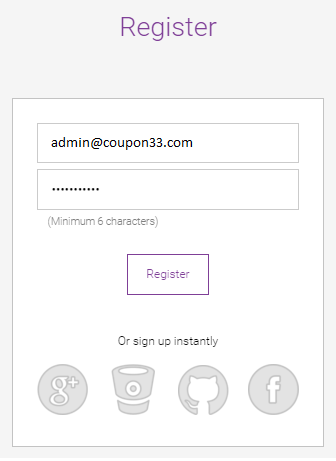 – You will see the Connection Wizard window, click DigitalOcean and the press the GET COUPON button the coupon code will be shown up instantly. 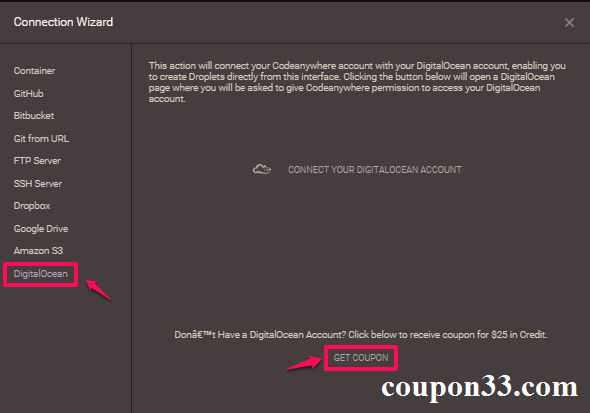 – Lastly, sign up a new account at DigitalOcean, enter the $10 promo code. Well, now look at your DigitalOcean account and enjoy your free $35. ***Only new customers accepted. If you do not get $35, feel free to contact the DigitalOcean support team. They will immediately help to manually active your free credit.